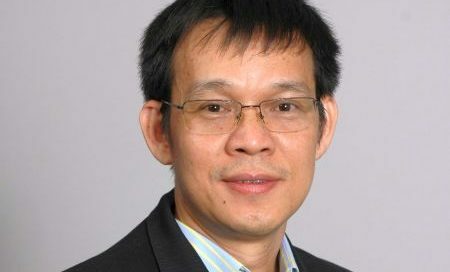 Dr Loc Thai Nguyen of School of Environment, Resources and Development has been promoted to the rank of Associate Professor. His elevation was announced by President Dr Eden Y Woon following the recommendations of the Faculty Evaluation Panel (FEP) and the SERD Professorial Board. Dr. Loc Thai Nguyen joined AIT as an Assistant Professor in July 2014. 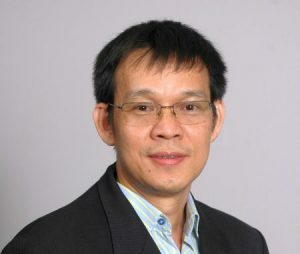 Prior to joining AIT, some of the earlier positions he has served as researcher at the Laboratory of Biomedical Nanomaterials, Institute of Materials Science, Vietnam Academy of Science and Technology (2013-2014); as lecturer, at the International University-Vietnam National University, HCMC (2011-2013) and as a Postdoctoral Fellow, the University of Hawaii at Manoa (2010-2011). Dr. Loc Thai Nguyen obtained his Ph.D. in Food Science and Technology from Ohio State University, USA in 2009, and his Master of Science (MSc.) in Food Engineering and Bioprocess Technology, from the Asian Institute of Technology in 2005 during which time Dr. Loc received two graduation awards namely the Albert Stevens Prize (2005) and the AIT Alumni Association Prize (2005) for outstanding academic performance. He earned his Bachelor of Science degree in Food Technology from Can Tho University, Vietnam in 1997. His research encompasses the areas of non-thermal food processing technologies, mathematical modeling of foods and food processes, chemical sensors and biosensors for food safety application, and food waste recycling and utilization.